Dan Taylor is an experienced litigator and outside General Counsel whose practice includes Commercial Disputes, Professional Liability, Oil and Gas, Construction and Insurance Coverage and Extracontractual Litigation. His representative clients include corporations, franchisors, insurers, agents and brokers, product manufacturers, property owners, sureties, contractors, attorneys, architects, engineers and other professionals. Dan has tried significant cases to verdict in numerous venues and is also an accomplished appellate advocate. Dan began his career at a small Arson and Insurance Fraud boutique, where he was fortunate to gain early jury trial experience representing insurers and their insureds in sharply contested matters in courts throughout Western Pennsylvania. 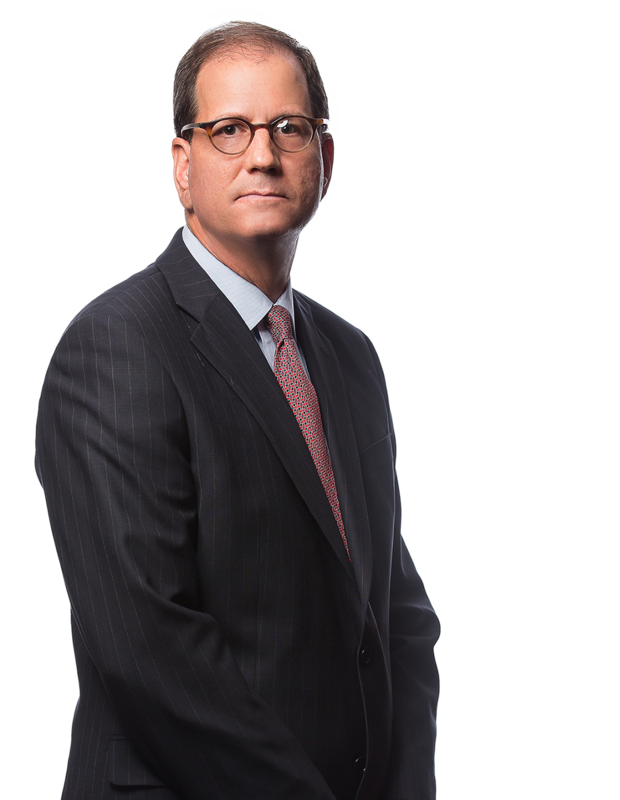 In the course of nearly thirty years as a litigator and trial attorney, Dan’s practice has evolved such that he is frequently called upon to serve as lead counsel in complex, large dollar “bet the company” matters in venues throughout the United States. Dan also serves as the outside General Counsel to the statutory residual property insurance mechanisms of Pennsylvania, Delaware and West Virginia, in which capacity he provides the directors and senior management with effective advice on business strategies and their implementation, manages the legal and compliance functions and negotiates critical contracts. Obtained favorable resolution of claims against law firm in class action arising from oil and gas leasing dispute. Obtained summary judgment for oilfield services company in wrongful discharge action brought by worker following transfer from Texas to Pennsylvania. Obtained summary judgment for insurance agent in action alleging failure to procure coverage. Obtained dismissal of environmental claims against well driller in action alleging contamination of fresh water aquifer. Lead counsel for mineral owner in action to enjoin construction of midstream pipeline through limestone quarry. Obtained summary judgment for GL insurer in complex coverage and bad faith action pertaining to fatal underground coal haulage accident. Obtained defense verdict for insurer in action alleging forgery of policy forms. Obtained favorable settlement for wireline logging company in action alleging loss of production from vertical well following fracturing and completion. Counsel for GL insurer in coverage action arising from multiple fatality explosion attributed to gas migrating from capped well. Obtained favorable resolution on behalf of soils engineer in action alleging failure of reinforced soil slope. Obtained favorable resolution on behalf of architect of consolidated actions alleging water infiltration at luxury condominium projects. Obtained favorable verdict for insurer in insurance bad faith action following four-week bench trial. Counseled client in restructuring of Board and Audit Committee to ensure Sarbanes-Oxley compliance. Designed and implemented Gramm-Leach-Bliley compliance program for financial institution. Negotiated multi-million-dollar software development contract. Negotiated commercial real estate lease. Counseled corporate client re: cyber security compliance program. Antitrust and market conduct counseling.